It's a new school year and Ryuuji Takasu discovers that not only is he in the same class as his best friend, Yuusaku Kitamura, but also Minori Kushieda whom he's had an undisclosed crush on for quite some time. Along with the two of them comes the "Palmtop Tiger", tiny Taiga Aisaka and Minori's best friend. 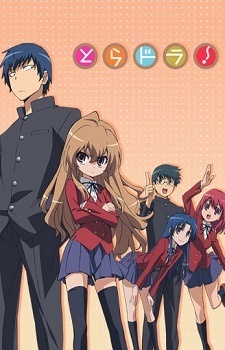 Despite her small stature, Taiga takes nothing from anybody and is secretly in love with Kitamura. Ryuuji and Taiga, despite their oil and water relationship, agree to mutually support each other in their quests for their hearts' desire.